Listen to "Be With Me" from the 1998 album HEPNOSIS... HERE. To sample and/or purchase HEPNOSIS, visit CD Baby HERE. 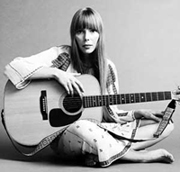 Listen to "Joni Blue" -- Kevin's homage to the great Joni Mitchell... HERE. 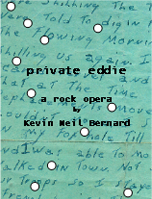 Listen to "Gun" from the 2010 rock opera PRIVATE EDDIE... HERE. Listen to "Six Pack" from PRIVATE EDDIE... HERE.